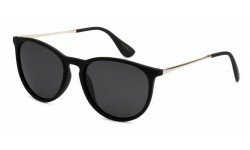 New Classic Silhouette Fashion Sunglasses from the Eye-D brand! This frame is a top selling style and we are glad to have this available for you at Sunrayzz! Order for your retail store and profit now! New roundish frame fashion sunglasses with flash mirror lens! Comes with metal frame and assorted mirror lens as shown. Order in bulk and get up to 20% off! New Round Lens Fashion Sunglasses! Check out this cutting edge new style! Top quality materials used for these discount sunglasses. Comes in assorted colored mirror lens as shown. Order now before it's all gone! These are new round metal sunglasses with colored mirror lens. A beauty for sure! Order in bulk now and get these for as low as $2.93 per piece! Excellent quality and new to the market. This is a hybrid round polarized lens style with metal arms and plastic frame. Its elegant design is perfect for the fashion oriented man or woman looking to rock some shades with an attitude! Order wholesale sunglasses from Sunrayzz Imports and carry quality sunglasses. This is a high quality retro futuristic fashion VG style. 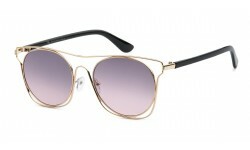 This style is intricately designed to meet the fashion taste of all the women who love stylish sunglasses. The metals arms comes assorted dark and light colors. The craftsmanship and materials are excellent. The frame is metal and the lens are gradient. Order by the dozen.